Do you require professional tanking and waterproofing in Salisbury? Prokil is here to provide a service you can rely on. We have over 50 years of experience and waterproofed many below-ground structures throughout the South of England. If your property in Salisbury has a basement or underground extension, it could be susceptible to water penetration. 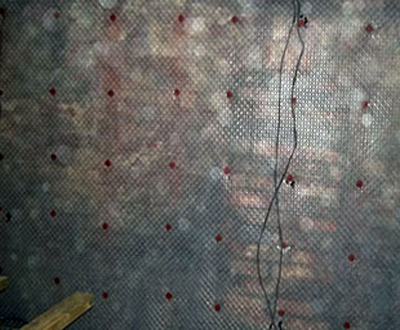 It is therefore vital that you choose the experts at Prokil to provide a reliable, high-quality waterproofing system. Tanking is a means of waterproofing your basement to avoid water from permeating the walls and other surfaces. At Prokil, we are the number one choice for tanking and structural waterproofing among domestic and commercial clients in Salisbury. We are dedicated to helping make below-ground structures secure and ensuring that your property is fully habitable. We do this by using the best waterproofing solution available on the market; ‘Type C’ cavity drain systems. Our technicians only install ‘Type C’ cavity system tanking as opposed ‘Type A’. ‘Type A’ makes use of material such as cement and resins to create an impermeable barrier against the walls. Alternatively, ‘Type C’ uses a drainage system to trail water away from your Salisbury basement. This prevents water pressure from building up against your basement, which could create weak points and subsequently cause excessive damage to your property. The ‘Type C’ cavity drain system is made up of a studded plastic membrane which we attach to the floors and walls of your property in Salisbury. This will then divert the water into a perimeter drain and subsequently Water will then be diverted into a perimeter drain which will then be expelled through the nearest drainage points or sump pump. There are a number of companies in Salisbury that offer a tanking service, but none will be of the same standard as Prokil. We are accredited with a number of organisations in the industry such as the Property Care Association who will be happy to assure you of our quality tanking service. Over the last 50 years, we have provided a comprehensive Salisbury tanking service for many different properties. We make your tanking process as simple as possible from start to finish. When you get in touch, we will arrange for one of our expert surveyors to carry out a site survey. We can then assess the work that needs to be done and how long it will take. Every surveyor at Prokil is fully qualified in Certificated Surveyors in Structural Waterproofing (CSSW) and will take you through the report step by step. Once we have planned the best course of action for your basement or underground structure, we will start installing the membrane. We always make sure that our tanking work is fully compliant with the latest British Standards for the best results. Furthermore, all of our Salisbury tanking and structural waterproofing work comes with a 15-year guarantee.